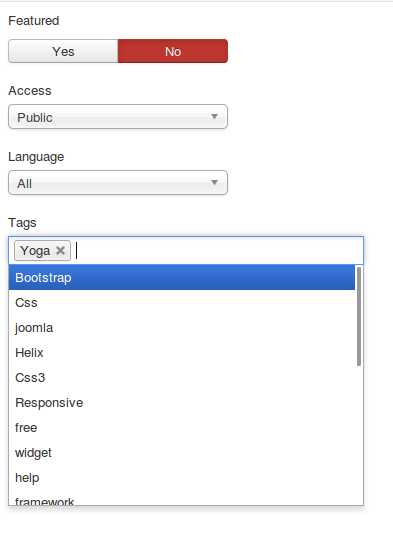 I would like to add a similar to default articles tag field type: A dropdown with predefined selects, but someone can add their own values also. What type of field type is this? And how could I add it inside a custom component? Note that mode="ajax" is required in order to allow on-the-fly tag creation. More information on using tags in your extension can be found here.